The popularity of blogs has skyrocketed in the past few years. It seems like every person runs a blog either personally or through his or her business. Why? It’s because blogs are extremely beneficial. They have transformed into a moneymaking opportunity that most people don’t want to miss out on, especially business owners. However, there are such things as good blogs and bad blogs, both in terms of content and profitability. One of the things that determines whether your blog is successful or not is the utilization of blog SEO (search engine optimization). 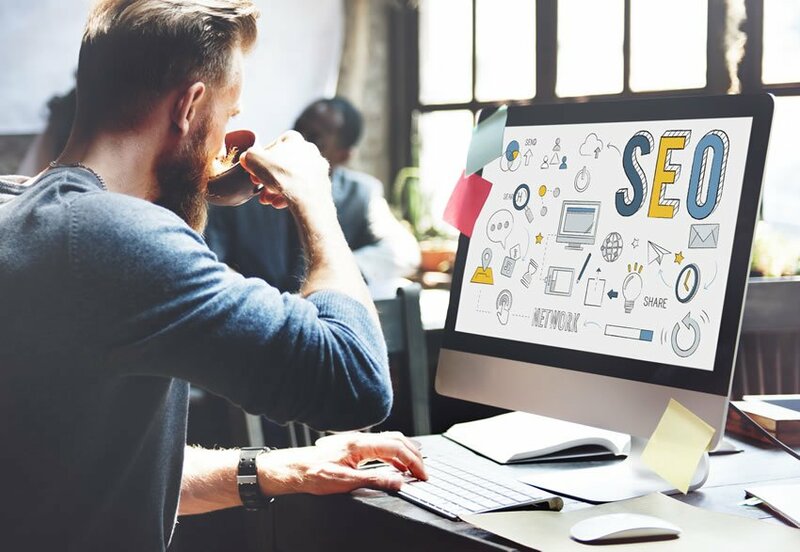 SEO is a technique used in order to increase your website’s rankings on major search engines like Google, Bing, Yahoo and more. It includes making sure that your site has a code that can be read efficiently and found easily by search engines. This means that if you utilize the correct keywords and phrases, SEO can help you move toward the #1 suggestion on results pages. This ranking comes with a sense of authenticity and credibility and you will get more page visits, which leads to more money. This is important in the blogging world because of how saturated the market is. If you want your blog to stand out from the crowd, you need to rank highly. In order to accomplish this all you need to do is make sure that your blog is optimized from the start. Although there are many different platforms available to choose from, most people recommend WordPress because it is beginner SEO approved. It’s extremely user friendly and set up in a way that the generated code compliments best practices for SEO. 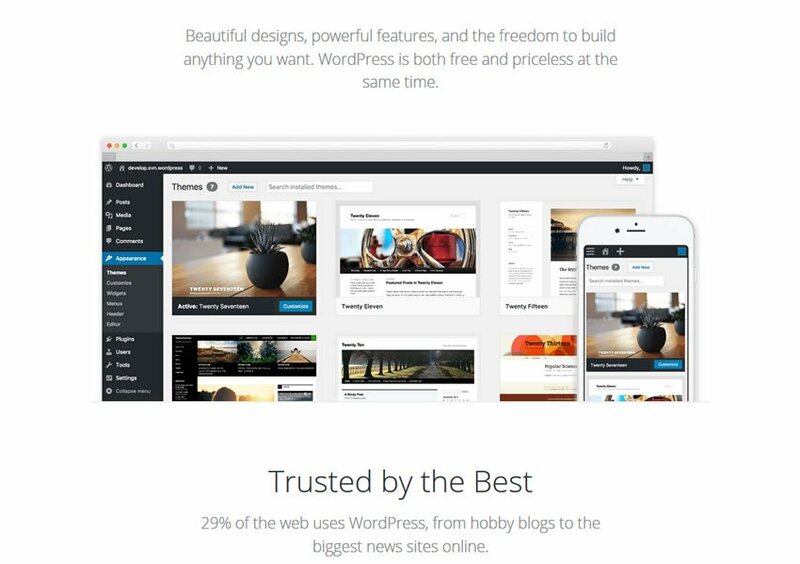 After choosing WordPress, you can begin setting up your blog. Since you’re starting from square one, you’re in good hands. Starting from the beginning allows you to establish a solid foundation right from the beginning. When you learn about how to optimize your blog from the start, you gain the knowledge and skill set needed in order to successfully drive traffic to your website. This is much easier than publishing your blog then going back years later and weeding through all of the content in order to optimize it. Plus, you learn the ins-and-outs of all things revolving around beginner SEO. In order to start setting your foundation, there are a few basic administrative steps that need to be taken. Specifically, you need to determine your blog’s niche and domain name. Choosing each of these gives you a starting point for future content. It also sets the stage for keyword research. If you already have a business, your niche and domain name can be pulled from there. The next step to set up your blog and work towards the mastery of beginner WordPress SEO is making sure that you choose the right web host. This is important because depending on your host you could either have a very slow loading time or a very fast loading time. Sites with faster loading times get ranked higher due to providing an increase in user experience. Some good hosting sites include SiteGround, Bluehost and Liquid Web. SiteGround is great for beginners but Liquid Web is a full-service hosting company that has tons of additional benefits. When selecting your hosting platform, check to see if they offer SSL. SSL stands for Secure Sockets Layer and makes sure that all of your communication for both you and your audience is done through a secure network. It has gained more importance over the years since hacking has become increasingly prevalent. In fact, due to security concerns, search engines have begun implementing SSL as a ranking factor. The sooner you establish SSL when setting up your website, the easier it will be. This is why it’s beneficial to find a hosting platform that offers it for free as they can help you set it up from the beginning as well as offer support if you need it in the future. If your host does not offer it, you can get it for free from Let’s Encrypt. Finally, you’ll want to install your blog. WordPress makes this process extremely easy and offers tons of free templates for you to choose from. These templates provide a great starting point for your beginner WordPress SEO. Your hosting platform should also have the option of “one-click installation” for WordPress sites. Once all of the logistics are set up, start brainstorming and developing content that you’ll want to release to your target audience. Keyword research will help you understand which words or phrases people will be searching for in your niche. Use these keywords and phrases in order to optimize your articles and help boost ratings. Good keyword research is the key to boosting search results. 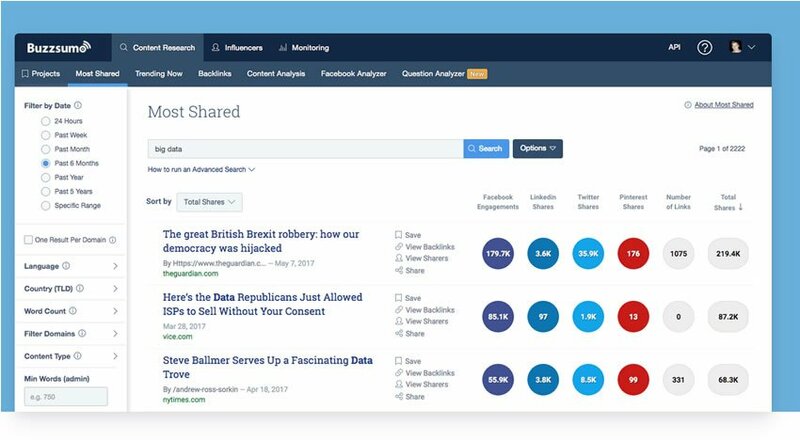 A good tool to use in order to explore and analyze what content to write about is BuzzSumo. Make sure that you include your target keywords or phrases but don’t overdo it. When you try to stuff too many keywords into an article or on webpage, search engines will notice and it will do more harm than good. Make your content read naturally and try to only focus on one or two keywords for each page of content or article. Having content ready to publish at regular intervals is important when you first launch your blog, so don’t skip this step. It is also helpful as a sort of “tester” when optimizing your blog. Once you’ve set up the basics of your website, you can begin the optimization process. Some parts are more difficult than others, but if you take it slow you can master beginner WordPress SEO. Your site should be visible when you install everything, but sometimes the invisibility box gets checked on accident. Head over to Settings > Reading and make sure that the ‘Search Engine Visibility’ is on. If it’s not, search engines won’t even know to look for you. A detail that is often overlooked that increases the successfulness of beginner SEO strategies is permalinks. These are the URLs that direct traffic to your blog and other areas of your site. Rather than use messy links that include random numbers and symbols, can clean them up from the back-end. Physically changing your permalinks is pretty easy, all you need to do is go to Settings > Permalinks. You can change them to be anything you want, but try and choose something that will help your optimization – think keywords! This will be an ongoing process once you begin publishing content, so don’t forget to re-visit this page frequently. There are thousands, if not millions, of different plugins available on WordPress but one of the most important ones is the SEO plugin. Unfortunately, due to the immense amount of options, it can be difficult to determine which one is the best for you. We recommend using Yoast SEO. Once you install and activate this, you are brought to your Yoast menu on WordPress, which can be found on your administration dashboard. You have the option of either using the configuration wizard or manually walking through each tab. We recommend walking through the tabs because this is how you will achieve maximum optimization. Don’t forget to save after you edit each tab. In the “Features” tab, make sure that you enable advanced settings. This turns on things like XML Sitemaps, Social, Titles and Meta and more – which allows you to optimize your site even further. Go on to “Info” tab and fill out all of the corresponding data. If you already have a verified site then you can skip “Webmaster Tools” and head over to “Security” to disable the advanced part of the Yoast SEO Meta box. If you haven’t verified your site then you’ll need to do that. Verifying your site is important because it connects your site to different search engines. In order to do this, you will be working in the “Webmaster Tools’ tab. However, you need to first make sure that you have accounts set up with Bing, Google Search Console and Yandex. Once you have these accounts set up, you can choose the ‘Meta Tag Verification Option’ and an html will be generated. You’ll need to copy and paste that html into the respective lines under the “Webmaster Tools” tab and then, in Bing, Google Search Console or Yandex, click “Verify.” This will verify your blogs and make them searchable. Google Search Console is a great tool because it allows you to see what people are searching for that leads them to your website. This lets you see what works and what doesn’t, so you can make changes when necessary. One great thing about Yoast SEO is that their default templates are great, especially for automatically generated Meta data (in the “Titles & Metas” tab). You can also edit these directly on each new Post or Page that you create. Usually, the plugin gives suggestions but you can always edit them if you need to. For beginner SEO enthusiasts, it’s best to stick with the default settings in things such as XML Sitemaps. You can come back and work with it once you get a little more advanced. So all you really need to do with this is submit your Sitemap to Google. Finally, link all of your social media accounts to the Social – Yoast SEO accounts tab. This will help cross-reference all of your sites and increase the credibility of your blog. Hope you enjoyed our Beginner WordPress blog SEO guide. While you can master beginner SEO, it might not be what you want to spend your time on. If you’d prefer to have someone else set up and optimize your blog for SEO, contact us today. Our SEO consultants can help you work towards the website of your dreams.